Today's mani is a sophisticated white pearl with gold shimmer. 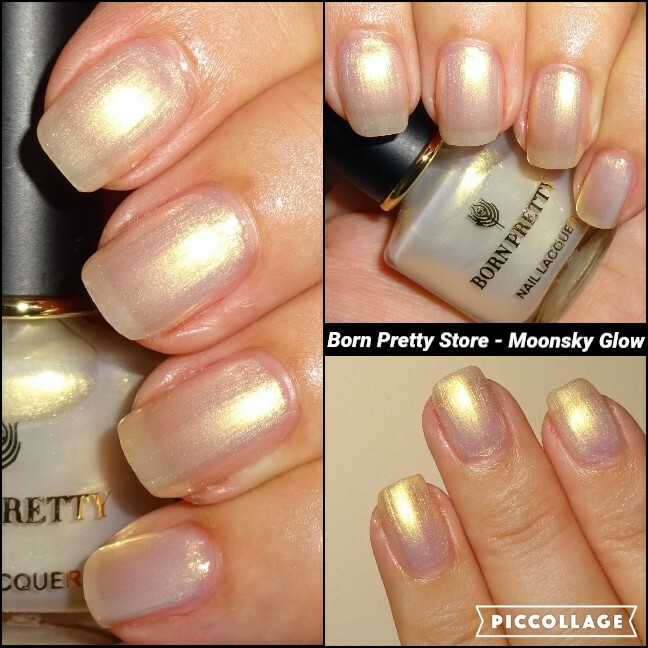 It's called Moonsky Glow and is from the Pearl In Lotus collection from Born Pretty Store. It's a very soft and pretty shade. I applied 2 coats plus top coat, in the sunshine the gold shimmer is enchanting. The Moonsky Glow Nail Polish is currently $3.99 / £3.01 / €3.41.